Sermon preached on 1 Samuel 21:10-22:5 by Rev. 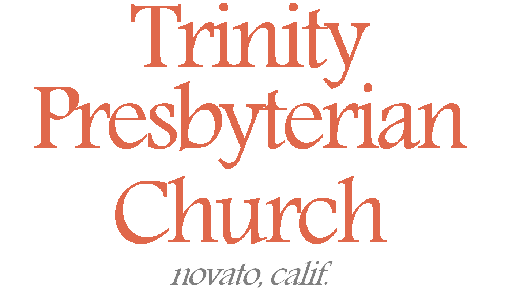 W. Reid Hankins during the Morning Worship Service at Trinity Presbyterian Church (OPC) on 8/2/2015 in Novato, CA. David continues to be on the run from King Saul, trying to find refuge wherever he can. David seeks this refuge because of his already and not yet circumstances. Already he’s been anointed king by God. But he’s not yet serving officially as king. Instead King Saul wants him dead and is seeking him out for that reason. And so David has gone on the run and seeks refuge in the three places here. He seeks refuge first in Gath, then in the Cave of Adullam, and then finally in Moab. The story ends with him being called to go back to Judah, by Gad the prophet, where he will continue to be on the run from King Saul. And so we are going to think today about the refuge that David seeks in this passage. And this has an application for us. Our circumstances are a bit different. But there is some similarity. David was seeking refuge because his kingdom had not been established in the full yet. We too need a refuge during this time before Christ comes and establishes his kingdom in glory. And though it’s a bit strange and unexpected that David would at all look for refuge among foreign pagan nations, it’s when he’s there that our similarity is closest. Because we as Christians belong to a different kingdom, but are at least outwardly stationed right now among the pagan nations. Let us then consider David’s seeking of refuge and consider how it gives application to us as well. Let’s begin first with his seeking of refuge in Gath, which is one the five main Philistine cities. This begins in chapter 21, verse 10. Let’s start by saying that this seems a bit of a strange choice for David. Yes, we can understand that if he did get asylum among the Philistines, that this would make it very hard for Saul to get at him. We know Israel and the Philistines are major enemies, and so David thinks there could be some practical degree of protection by going there. But is this really a wise idea, to try to find refuge among heathen, particularly these heathen? Think of even the immediate irony. He had just came from Nob where he had received what is now his only weapon, the sword of Goliath. Now, he comes immediately to Gath, the town where Goliath had been from! So go figure, we read in verse 11 that the servants of the king of Gath figured out who David was. They even refer to him as the king of the land of Israel. They even rightly quote the song that was sung about David after he had killed Goliath. And so suddenly David realizes that maybe this wasn’t a very good idea after all to come to Gath. We see that in verse 12. David becomes afraid of Achish, the king of Gath. And per the language of Psalm 56:1, the Philistines seized him and brought him before King Achish. So then, David thinks quickly on his feet, and feigns madness, and his deception works, and he is released. And so a point that should be obvious right away here is this: if you go to try to find any measure of refuge among outsiders, among unbelievers, you should realize the danger. There is a threat present in trying to find refuge in outsiders. What is interesting is that later on, in chapter 27, David will come again back to Achish while he is still on the run from King Saul. At that time, he will actually come into the good graces of King Achish. Then David will have 600 men with him, and will be perceived by Achish as a defector of Israel. Achish will grant him refuge. And yet what becomes clear at that time is that Achish thinks he has David’s allegiance, when really he doesn’t. David is actually using Achish to provide a home base for him to do raids against other enemy nations of God’s people; but he basically tells Achish instead that he’s been making border raids on Israel. And so I mention this to show the complexity of this situation. There will be a way in which David will make use of these pagan nations to suit his purposes. But this passage reminds us that there can be danger in this. This is an interesting passage, because the text doesn’t comment on whether this was good or not for David to even go to Gath in the first place. I could imagine a hearty book club style debate among theologians talking about that question. And yet sometimes when Scripture is silent in such commentary, it can give us pause to reflect on the wisdom of this. And if nothing else at this point, we can see the danger and threat that this placed on David. If he thought this was a place of safety, it almost backfired on him. It could have cost him his life. And so in terms of application to us, if nothing else, we get this reminder. Living as God’s people among those who are not believers, presents a danger and threat. When we in any way look to ally ourselves with them, even if in a remote way, there is a threat. We should remember what it says in 2 Corinthians 6:14, that light does not ultimately have any fellowship with darkness. I’m not saying that there is never a time and a place where like David you might think it makes sense to have some cooperation with an outsider. But we should be well aware of our dangers, and must constantly remember where our allegiances lie. So then, let’s turn now to our second point, to look at the next place where David sought refuge. Here he goes to the Cave of Adullam, which is back in Israelite territory, in the land of Judah. This begins in chapter 22, verse 1. This seems from the significance of typology, to be a better place for David to be; he’s back in the Land of God’s people. And in fact, this is a fruitful time for David. Here in verse 1, we see that his family gathers to him here. You can imagine that by this point it may no longer be very safe for David’s family in Israel. You know how it goes. You’ve seen it in the movies. When a bad guy wants to capture the hero of the movie, but can’t get his hands on him, what does he usually do? He goes after the hero’s family instead. So, this is a good thing, that David’s family can go to him in this Cave of Adullam and find refuge there along with David. Already things are doing better here than in Gath. And then another wonderful thing happens. In verse 2, David begins to gain a following. People from all over Israel who were discontented with how things were going in Israel begin to flock to him. David now has a band of some 400 men with him. It says that he became their captain, so this is basically his own small army now. From a big picture, this is great. God is starting to gather a people around his Anointed One. David, who is a type of the Messiah to come, begins to have his followers. So, this is a good fruit that comes from his leaving Gath and coming back to Israelite land. You don’t imagine that this gathering of family and supporters would have happened if he had been at Gath. Well, an application that comes here to our context today is that King Jesus continues to gather his people unto himself. Jesus is continuing to gather a people out of this world to follow him. And it’s interesting though understandable that the people that first come to David are those that are either down and out in the current society, or are somehow dissatisfied with it. Isn’t that typically the case with those who come in faith to King Jesus? We see it today, and it certainly is what we see in the New Testament. That the people who are successful in this world, the rich in this world, etc, very often are not the first people to flock to Christianity. Rather, in the words of James 2 and 5, they are often the ones most hostile to Christianity. Of course this makes sense. If you love the world and the things of this world, and the lusts of the flesh, it can be hard to give up those things for the sake of following Christ. But if you are already afflicted and poor in terms of the world’s things, and if you’ve already become disillusioned from all that the world offers, then it surely is much easier for you to see the value of what Christ offers to his people. For Jesus Christ offers a kingdom with things that are different, though from our perspective, far better than what the pagan world here offers people. And so as the church, we stand as a refuge for those in the world who by the grace of God have come to realize that it doesn’t satisfy. They flock to Christ in his church and find refuge. In a sense, that’s the story for each of us. Okay, let’s move now to our third point. Let’s consider the third place that David seeks refuge. Starting in verse 3, we see him go from the cave to Moab. This is another interesting move by David. On the one hand it makes sense. Moab was also an enemy of Saul, per 14:47. Furthermore, David has Moabite blood in him; remember David’s great grandmother is Ruth, the Moabitess. And yet in the book of Ruth, going to Moab is painted as the wrong direction. That’s how the book starts out, with an Israelite fleeing to Moab during a famine for refuge and relief. They find nothing but bitterness and loss during that time, with the exception of bringing back Ruth to the Promised Land. But it’s Ruth who forsakes her Moabite heritage, her Moabite land, and her Moabite people, and her Moabite gods, for the sake of coming to Israel, and the Israelite people, and the Israelite God. So, David fleeing to Moab seems to be the wrong direction. And so from a practical standpoint, it makes great sense; we can understand why he did it. But it still seems to be going to the wrong place for refuge. We can add to this notion that in the Old Testament, Moab was not painted as a friend of Israel. They should have been. They are descendants from Lot, Abraham’s nephew. But, for example, they are the ones who would not help Israel as they came out of Egypt, and they were the ones who tried to hire Balaam to curse Israel. Deuteronomy 23 points out this infamous history of Moab. So, it is a bit strange that David goes there, from a religious stand point. Later, in the future David seems to recognize this, and will actually bring a scathing defeat against Moab and subjugate them to Israel. And yet for now, David finds help from these Moabites for him and his family and his followers. And yet this time of refuge is cut off by the prophet Gad. In verse 5, the prophet commands David to leave and return to Judah, so he obediently does. And so as we do some assessment here, we can see that there was some practical benefit that David received here from the Moabites. Given that here again there is no commentary that says that his going to Moab was right or wrong, it’s difficult to be dogmatic here either way. The fact is that David did experience some help here from the Moabites. And we can appreciate this in our own context too. In common grace, there are certainly ways that unbelievers can give you some help or refuge. Such assistance may even be helpful in some way for Christ’s kingdom goals, even if that’s not the explicit intention of who is helping you. And so there may be a time and place to receive such help. But as we said before with Achish, we must remember that as Christians we are different and distinct. We are set apart from those who are not of the LORD. Though we may have interactions with the world that are actually helpful for our God-given goals, we must exercise wisdom and prudence. We must take great care to understand our differences, lest we fall into a situation of compromise. And as David was ultimately called out of Moab to go back to Judah, we too must remember where is our true home. And yet, that’s where we are of slightly different circumstance than David. We all would certainly rather go home, so to speak, spiritually speaking. If God had established a Christian country that we could move back to, then that would be great. But at this point in redemptive history he has not. Actually, Jesus said he will bring that when he comes again. So, instead, we live in a pagan world, but of God’s kingdom, waiting for his kingdom to come in glory. So, we do not live of this world, but we can’t just physically come to God’s kingdom. We, like David, have to wait for the establishment of the kingdom. For David, he could at least leave Moab and go back to Judah. Though we can’t do that, we do something similar. We leave this world by becoming a member in Christ’s church. We then live in and among pagan unbelievers, but we live as those who are of Christ’s kingdom. And so living in this world, we have come to take refuge in Christ and in his church. Saints of God, I leave us with three applications today in light of this passage. First, we need wisdom in knowing who is our enemy, and who is not. We need wisdom in understanding how we relate to the world. I think of how Jesus showed us the complexity of such thinking when at one point he said, “Whoever is not with me is against me,” while at another point he said, “For the one who is not against us is for us.” “Whoever is not with me is against me,” and, “The one who is not against us is for us.” Those two notions rub up against each other. But we pray for wisdom to know how to make use of this. But the reality is that some unbelievers are so hostile toward us, that we just need to get away from them. Other times, there may be unbelievers who show great sympathy and kindness for us, or maybe we just have some similar goals at the moment, and maybe there is collaboration that takes place. But we can’t lose sight of what makes us different than them, lest we become unequally yoked with them. So we need wisdom from above in such interactions. Do you see the point? During these historical events, if you read this chapter you might think David was looking for refuge among humans, even among unbelieving humans. And yes, in one sense he was. But it’s abundantly clear from these psalms, that in these circumstances he was ultimately looking to God as his refuge. And that’s the point. That’s the application. To whatever degree you make use of outward circumstances in the midst of your needs, keep your heart ultimately looking for God to help. Like if you go to the doctor, you still seek God for the healing, and are content if he so uses the doctor for that purpose. In whatever way you solicit help from others, etc, still see that God must be your refuge ultimately. God might use others, even those in the world, to grant you aid. But your heart needs to ultimately put your trust in God and not others for your help. Set God in Christ as your ultimate refuge. Don’t miss this. This is the big point for today. To whatever degree you find help from people and other outward circumstances in this life, you need to make sure that your hope is still really in the LORD. Set God in Christ as your real refuge. Trust not in man or chariots, but in God. A third application is this. Have patience until God brings his kingdom in glory. That’s what David had to do. It’s why in verse 3 he went to Moab even. Look at the end of verse 3. He asks for refuge, “Till I know what God will do for me.” In other words, he knew God had a good plan for the future for him to be king. But he knew that he had to wait to see how God would bring it about. And so he took this earthly refuge as a way to patiently trust in God’s timing. May this encourage you. Right now we too are waiting for what God will do for us. We know the big picture of how it will work out. We’ll be resurrected into eternal life and reign with Christ in his heavenly kingdom of glory. We know that; we believe that. But for now, we must wait and take refuge from the enemies of Christ until God works out that plan. But it really is just for a time. Saints of God, have patience then until God brings his kingdom in glory. And take refuge in Christ until then. Let us pray for that patience now. Amen.